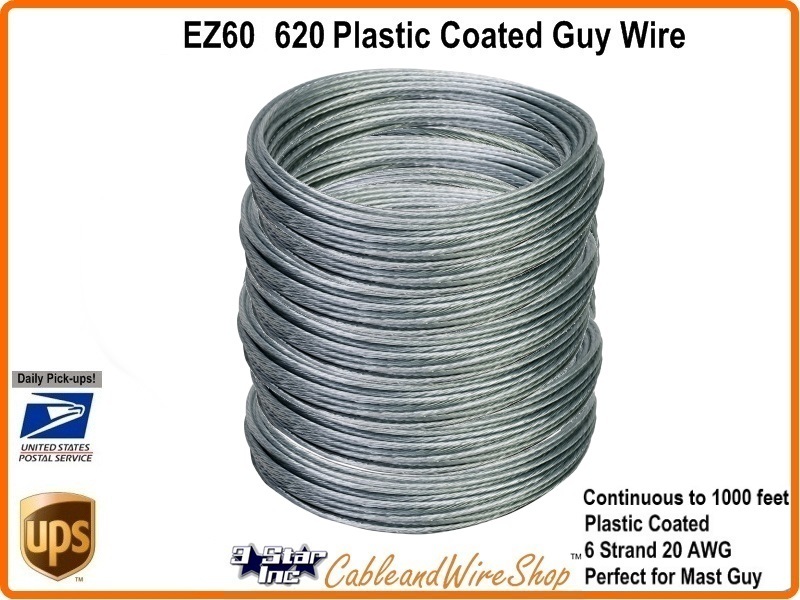 1000 Foot of Plastic Coated, Galvanized 6 Strand, 20 AWG Guy Wire. Perfect for Light Duty Masting Down Guys. Comes as Twenty 50 foot Hank Sections in Contiguous Footage totaling 1000 Foot. Strip Plastic off before Terminating Down Guy ends with cable clamps.